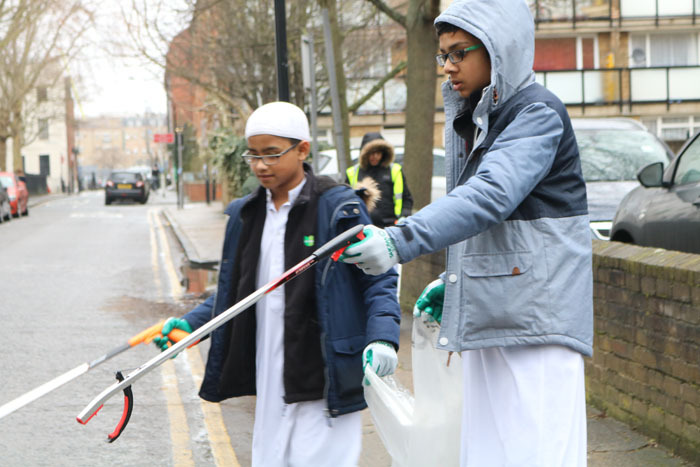 As part of the Citizenship Curriculum, the year 7’s and year 8’s were taken out to the streets around the school to litter pick as part of a series of events in line with the Clean Up UK, Beautiful Boroughs project. This was also in line with the schools knowledge and action ethos whereby knowledge covered within lessons are brought to life with an activity or campaign providing real life experience of community social responsibility. 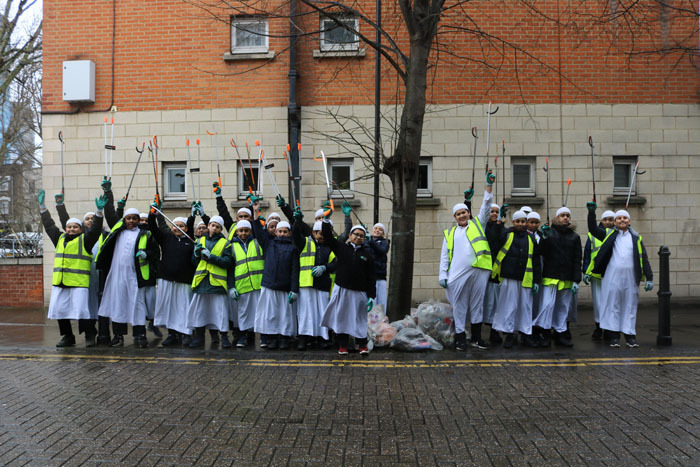 The first in the series of ‘Clean Ups’ took place on 20th February 2018, where the Year 7s got rid of cigarette butts, crisp packets, drinks cartons amongst other litter dropped by uncaring passers-by and collected 12 bags of litter in one morning around the Clark Street, Ford Square and Commercial Road area. The second was part of ‘Keep Britain Tidy’s Great British Spring Clean’ which is their national campaign in sending their message of keeping communities clean throughout the UK. Year 8’s took part in this on Friday the 9th February 2018. 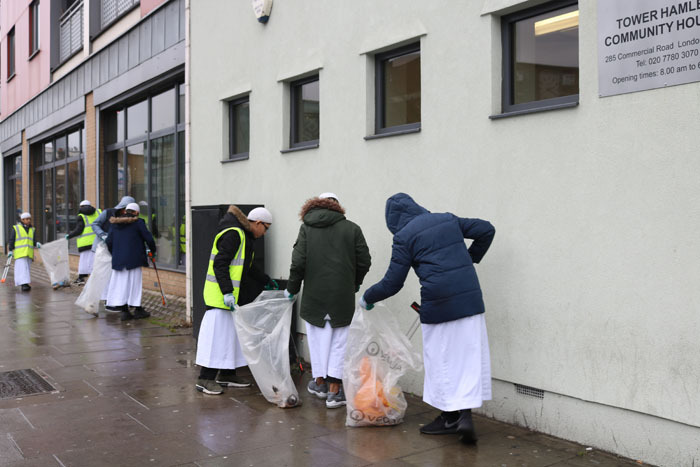 Passers-by were so overwhelmed at the sight of this, many came to the teams to compliment them on the great work the school and children were doing, one lady near the Royal London Hospital took the effort to approach the boys and said, “Your cleaning up the streets? What a fantastic thing to do, fantastic, absolutely fantastic, well done boys” and showed a thumbs up. All this was done in conjunction with Clean up UK, Tower Hamlets Council’s Love your Neighbourhood, and Veolia which is a local authority backed charity whose main focus is on helping those who are most in need, usually in areas of deprivation, to combat the litter problem where they are. The project is named the beautiful boroughs project which works to make people feel their communities are safer, more welcoming and friendlier. Richard Hurley Communications Officer from London Borough of Tower Hamlets council and staff member of Veolia team joined our school for the litter pick. 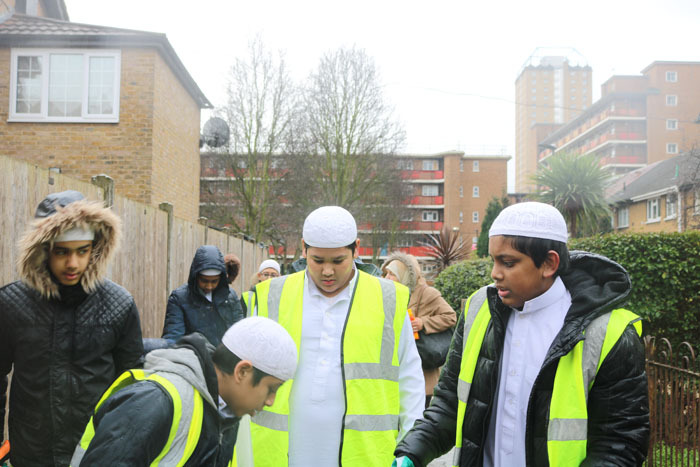 “Getting students involved in positive activities lets them take responsibility for their surroundings and sets a great example for others” said Mohammed Yaser, Head of Citizenship at London Islamic School.